A new bronze of Valens for Antioch (to 378 apr. J.-C.) by Renato CAMPO *. 3.L’ ESAs 3 Emperor Valens (364-378 apr. J.-C.) struck in Antioch presented in this note was included in a batch acquired Italian dealer. 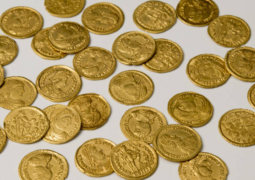 All pieces of this set, stretching of the Constantinian period valentinienne and minted in several workshops (mainly Antioch, but also Cyzicus, Thessaloniki and Rome), had the same enhanced overlays of ochre colour dark brown patina. According to the seller, all is native to the island of Cyprus. The authenticity of the currency no doubt, even if its mass is located within the lower limits of the aes 3 of this period. It is of great interest and that for various reasons. First the title D (ominus) N (oster) VALENS PER (petuus) F (elix) AVG (ustus) (fig. 3) was not attested so far in the minting of bronze, but only for emissions of metals of this emperor, and more specifically those from the workshop of Antioch. Then, brands in the field of the setbacks were so far listed for the Securitas Reipublicae type, for a unicum of Gratian (see RIC IX, 49). This aes 3 is dated by J.W.E. Pearce of the period 378-383, i.e. after the death of Valens August 9 378 at Adrianópolis. We will immediately address the problem of dating, but it is not useless to focus for a moment on the perpetuus which is attributed to the Emperor in the titulature of the right. No problem in interpreting PER as PERPETVVS. The objection we should find here rather the abbreviation PERP instead of PER is not admissible: to be convinced just that door Julian was the FL CL IVLIANVS PERP AVG either FL CL IVLIANVS AVG PER title, or even same FL CL IVLIANVS PP AVG. Similarly, for Jovian is the first D N IOVIANVS P F PERP AVG, D N IOVIANVS PER (or PEP, sic!) AVG, D N IOVIANVS P F P (or PP) AVG, D N IOVIANVS P PP AVG 1. The PERPETVVS title is well attested on currencies and tardoromaines inscriptions: A. Arnaldi 2 in history from the well-known first of some antoniniens of Probus hit at Serdica. Its use continued until the time of Constantinian, when he experienced a new fortune, probably due a reluctance on the part of the Christian emperors who, on the one hand, continued to enjoy it, but that, on the other hand, could not hide a certain reluctance in its use, probably to not to feed suspicions of pagan survival. Indeed, PERPETVVS was seen as a form of attenuated but very close to the AETERNVS title, normally reserved for God. It is remarkable that this title has no equivalent on the currencies of Valentinian I and grant, even if the title PERPETVVS AVG (or similar) is awarded to them in several honorific inscriptions from various parts of the Empire 3. This observation and the restriction of this title to the monetary emissions of the only workshop of Antioch u2012 a city where Valens to long stay and therefore a workshop that he probably personally controlled u2012 allow us to move on the assumption of an explicit will of the Emperor, that he apparently did not share with his coregents, connect with a tradition dating back to Constantine. Indeed, it had struck, at Antioch precisely the solidi to the FL IVL CONSTANTINVS PERP AVG legend. The reverse of the coin review allows us to address the problem of its 4 dating. The brands Θ, Φ, Κ, differently situated in the field of the reverse of the coins (fig. 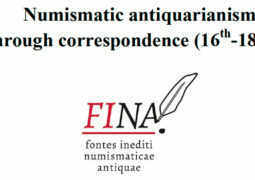 4), mailbox characterise aes show 3 the Roman Imperial Coinage date between 378 and 383. Immediately say that J.W.E. Pearce, the author of this volume of the RIC, admits that the meaning of these three Greek letters remains unknown 5. He continues: ‘ – that is, those three letters – They also occur we year AE 3 of Gratian with rev. ” type Securitas say, seen by me in a single example. “It is a surprising corner of this period, and the only explanation which I can suggest that it is a relic of a small ‘token’ is of a type which the Antiochene mint had refused to strike the previous period goal which the young Senior Augustus now uses his new-found authority to enforce upon it.” It’s the unicum of the Ulrich-Bansa, RIC 49 (R5) collection: we will soon see that the problem of the interpretation of this piece is intimately linked to the dating of this new copy. 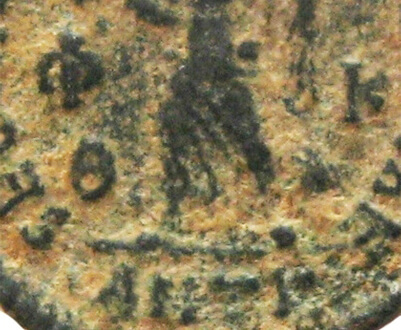 The Securitas Reipublicae type (such as Gloria Romanorum) was hit early in the reign of the valentinienne dynasty in all the workshops of the Empire, but if West strike continues until after the death of Valentinian I, East (according to Pearce) “little seems to have been struck after Gratian’s estate in A.D.”. 367′ and the author continues: “The most likely explanation of this seems to be the objection of the eastern mints to striking types imposed upon them by year alien authority.» “The New Rome was in revolt against the claims of the Old Rome” 6. 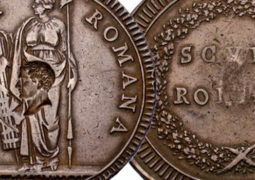 This supposed reappearance late Securitas Reipublicae type should therefore be interpreted, always according to the author of the RIC, as a sort of test of strength on the part of grant after the death of Valens in the face of a workshop rebel (Antioch) who had long ceased to strike the bronze to types imposed by the West. It is clear that the discovery of a piece with the same acronym of three letters (Θ, Φ, Κ) in the field, but on behalf of Valens’s questioning everything, including the theory of the ‘token’ result. 1. This new room is a hybrid, which is the result of the use of a corner of law with a corner of irrelevant setback. 2. This coin was struck after the death of Valens. 3. This piece is part of a regular program AES produced during the lifetime of the emperor. Hypothesis 1 was sometimes advanced to explain anomalies observed on rare pieces: for example J.W.E. 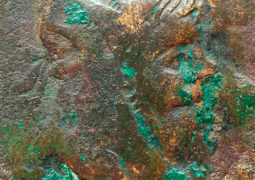 Pearce 7 considers as hybrid two aes 3 Valentinian II struck in Aquileia who present a typical mintmark of the period prior to the appointment of Valentinian II as Augustus. In our case we could think about pairing unlikely u2012 given the style, generally higher in the case of gold u2012 of a corner of right (of a solidus?) engraved during the lifetime of the emperor with a backhand rear corner. Hypothesis 2 may seem unlikely, but she was however advanced for example by Ulrich-Bansa for two 3 posthumous aes, also of Aquileia, in the name of Valentinian I 8. 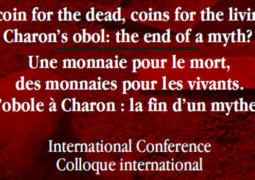 We cannot exclude it for the new piece, especially since the entry of the right, quite unusual on a bronze coin, seems to reaffirm the perpetuity of divine protection, as if to deny the reality of the disappearance of the Emperor, died during a battle. This titulature lent itself well to honor his memory. This hypothesis is consistent with the chronology of emissions proposed in the RIC IX. However hypothesis 3, the most radical, requires us to assume that the show the three letters (Θ, Φ, Κ) began not after the death of Valens but shortly before. So the question is: When do we place the beginning of the show? It should be recalled that several attempts have been made to associate each acronym (or ‘ different monetary “) to a program term, without however reaching general results 9. An acronym could therefore change after just a few months or remain unchanged for years and this specific unrelated to the amounts emitted. However, it makes sense not to back the strike of this kind of exaggerated way because, as we have said already, the show continues during the joint reign of Gratian, Valentinian II and Theodosius. However, for the last three years of the reign of Valens (375-378), when it was associated with Gratian and Valentinian II, the RIC unknown emission of bronze for Antioch. We believe it is precisely this period it would date our piece, and therefore the only RIC 49. Compared to the periodization in the RIC IX, should therefore move the show with Θ on Φ in the field on the left and Κ right at the “period 3”, which must also be extended a bit after the accession of Theodosius, in order to integrate the type CONCORDIA AVGGG, hit on his name and which presents, in the field, the same letters (RIC 46c , 6). Other emissions with the three letters located differently in the field can remain in the “period 4”, i.e. during the joint reign of Gratian, Valentinian II and Theodosius. Hits (especially for Valens) large volumes of both Gloria Romanorum and Securitas say. Nothing changes compared to the RIC. Typing of decreasing volumes (Gratian is rare) of both Gloria Romanorum and Securitas say. Continuation of the hit of the Concordia Auggg type with other brands: Θ/Φ k, Θ/Φ, etc. Beginning of the hit of the types Virtus Romanorum and Urbs Roma. ugh the author thanks for his help M.
n) Antioch, to 378, VALENS (?). Bust tiara (pearls), battleship and draped to dr. The victory walk to g., holding a Crown and a Palm. AES 3: 2.10 g; 6; 18 mm (Fig. 1). 1. For completeness I add that theoretically we could also think about an abbreviation of PERENNIS (indeed on the said bridge “grant” which connects the Tiberina Island with the right bank of the Tiber in Rome, reads an inscription where Valentinian I, Valens and Gratian were VICTORES MAXIMIZING PERENNIAL AVGVSTI AC, but PERENNIS title to our knowledge is not attested on currencies and “”) Anyway, reading PERPETVVS seems sufficiently proven. 2. ARNALDI 1980, p. 96-107. 4. Star shaped track that appears under the letter K of the reverse is in fact the end of the dress of the victory. d. See RIC IX, General Introduction, p. xviii. 7. See RIC IX, p. 92. 8. Ibid., p. 93: “Ulrich-Bansa views them as a posthumous honour paid to the dead emperor. 9. For a discussion of this problem, see CALLU 1986. 10. RIC 46c, 6 (coll. Pearce).